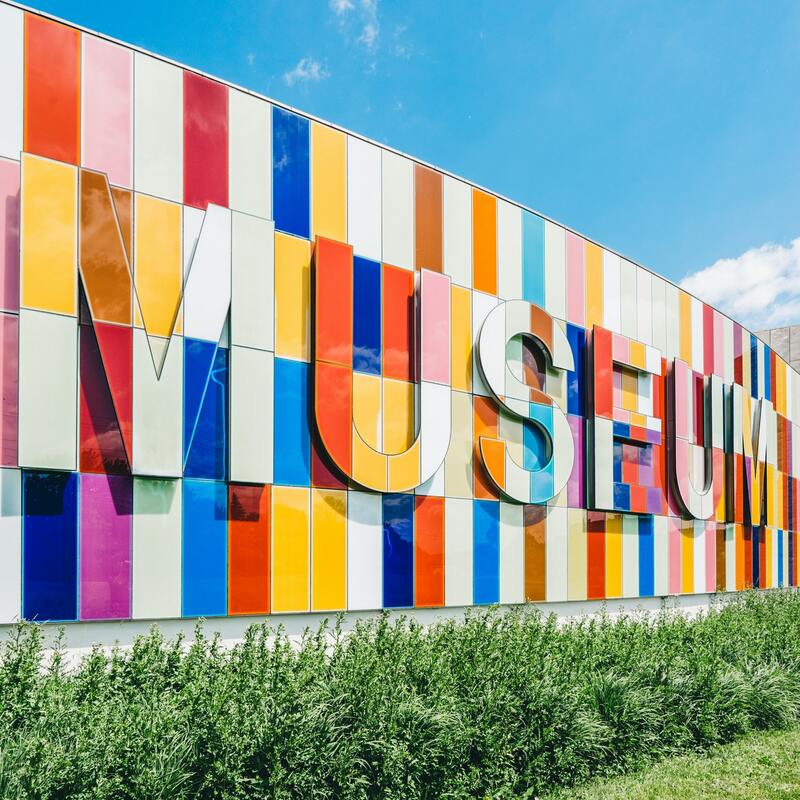 We’ve rounded up our favourite child-friendly museums throughout South Africa, where education and entertainment are part and parcel. Plus, visiting one of these will also not break the bank! If your little one is obsessed with cars, trains or anything on wheels that move, make a date to visit James Hall Museum of Transport. It features various modes of transport dating back nearly 400 years and is the largest museum of its kind in our country! Think: trains, trams and trolley busses, steam-driven vehicles, bicycles, fire-fighting trucks, animal drawn carriages and a number of vintage cars. We promise mom and dad will enjoy the exhibitions as much as the kids do! Opening times: Tuesday to Fridays, 09h00 to 16h30; Saturdays and Sundays 09h00-12h00 and 13h00-16h30; closed Mondays. This one is better suited for kids of 10 and older, and for those mom and dads who want to share some insight to the political and social history of South Africa with their children. Situated on the historic Vilakazi Street in Soweto, this is the home where the late Nelson Mandela and his family lived from 1946. While he only lived here for 15 years before being arrested in 1962, this home became a central figure in the fight for democratic freedom in South Africa. It’s been restored to showcase a close depiction of how the Mandela family lived at the time when they first moved in, as well as includes exhibitions and information relevant to the fight for democracy. Entrance fee: R40 per adult; R20 per pensioner, child over 6 and students; R5 per child under 6. Opening times: Monday to Sundays, 09h00 to 16h45. South Africa is fondly known as the rainbow nation, where we celebrate our diversity, traditions and ethnicities of our many cultures. And this museum offers great insight to the heritage of our beautiful country. The museum, also known as the African Window, houses an intriguing collection of exhibitions, including rock paintings and engravings of the San people, and thousand-year-old Iron Age figurines from Schroda, a historical settlement in the Limpopo Province. It also hosts song, dance, drama and visual arts festivals which celebrates our rainbow nation, and is certainly worth the visit. Entrance fee: R35 per adult, R15 per learner; R20 for children and pensioners. Opening times: Monday to Friday 08h00 to 16h00. If the idea of 4 000 model cars, 500 dolls and teddy bears, a few miniature doll houses and rooms, two fully operating toy railroads, lead soldier displays, Meccano, ships and a few other toys and models sounds like the best day-out for the whole family, then we’re here to tell you that you have to plan a visit to the Warrior Toy Museum. Did we mention that it also features famous toy cars such as Chitty Chitty Bang Bang and Mr Bean’s notorious yellow Mini? And there’s even a shop for those toy collectors who want to add to their collection. Entrance fee: R10 per person. Opening times: Daily from 10h00 to 16h00. The Planetarium underwent a much-needed revamp in 2017 to become a state of the art celestial theatre that will enthrall young and old it is today. Inside the domed auditorium, you can lean back in your chair and look up to the star-filled nightsky projected onto the dome. The Planetarium also hosts various educational digital shows (also projected against the dome) that ranges in suitability for toddlers to adults. Entrance fee: R60 for adults; R30 children, students and pensioners. Opening times: Tuesdays to Sundays, 09h00 to 17h00; Wednesday evenings at 19h00; closed Mondays. The daily educational digital shows happen at specific times; contact the Planetarium on 021-481-3900 for exact times and show details. If you’re keen to teach your kids more about traditional South African arts and crafts dating back centuries, a visit to Phansi Museum is a must – in fact, it’s home to some of the largest collections of traditional artefacts in South Africa. Think: ceremonial wear with exquisite beadwork from different regions and cultures dating back to the 19th century, head rests, meat platters, carved spoons and Zulu pots. Furthermore, the museum is housed in the Roberts’ House, which dates back to 1898 and was once the home of Esther Roberts, one of South Africa’s first female anthropologists. Opening times: Monday to Friday, 08h00 to 16h00; Saturdays, 10h00 to 14h00. For those interested in deeper understanding of the history of mankind in south-eastern Africa as well as people wanting to learn more about natural and human sciences, a visit to the Kwazulu-Natal Museum is non-negotiable. The museum hosts several of South Africa’s most important heritage collection, including regional arcehology, African cultural products, European settler history, dinosaur displays, seashells, insects and a few other forms of animal life – all those things that will leave kids enthralled! Plus, museum building is something of an attraction itself as it dates back to 1904. Entrance fee: R10 for adults; R2.50 children; pensioners and toddlers for free. Opening times: Monday to Friday, 08h15 to 16h30; Saturdays, 09h00 to 16h00; Sundays, 10h00 to 15h00. It takes all of one minute inside Bayworld to understand why it’s one of the leading tourist attractions in the Nelson Mandela Bay area – it combines a Snake Park, Oceanarium and the Port Elizabeth Museum all in one easy location. The Snake Park dates back to 1919 and is home to various reptiles indigenous to the Bay area. The Oceanarium houses several species of fish, turtles, fur seals and African Blackfooted Penguins. At the Port Elizabeth Museum, visitors can learn about dinosaurs, marine, bird and maritime history. Don’t say we didn’t warn you that you could literally spend a full day here. Please note that entrance fees and contact details are correct at time of publishing, and can be subject to change. Rawson Properties cannot be held responsible for any incorrect details or changes.